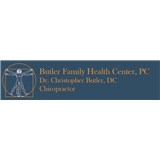 Butler Family Health Center (Centennial) - Book Appointment Online! Very attentive and informative. Excited to go back and continue my journey of wellness.